Thirteen-year-old Thomas Hunter has always longed to taste the freedom of life on the Western range, away from the stuffy home and watchful eyes of his well-to-do grandparents in Virginia. So when a letter arrives from his father inviting Thomas to join him and his new family on their Kansas farm, he can already see himself riding across the prairie like a real cowboy, living the true Code of the West. Yet the hardscrabble farm isn’t what Thomas expected. There’s hardly enough food; his new stepmother doesn’t approve of his ways; and he spends all his time mucking out the barn and working the fields. Then, just as Thomas begins to grow restless, a herd gets swept up in a cattle stampede and he must follow a group of cowboys to reclaim them. Finally facing the prairie adventures he’s dreamed of, he finds himself confronted with challenging decisions, eye-opening action, and an honor to uphold that calls for the real Code of the West. This novel is inspired by my great-grandfather’s childhood. He immigrated to Kansas in a covered wagon as a baby in the 1880s. He was sent back to Virginia to be raised by his grandparents at age two after his mother died, and summoned back to Kansas at age nine to live with his father and step-family on the family farm. Despite hardships, he stayed in Kansas and farmed until he died at age 86. I don’t know much about his early life. The stories in my novel are patterned after the real lives of Kansas children in the 1880s. 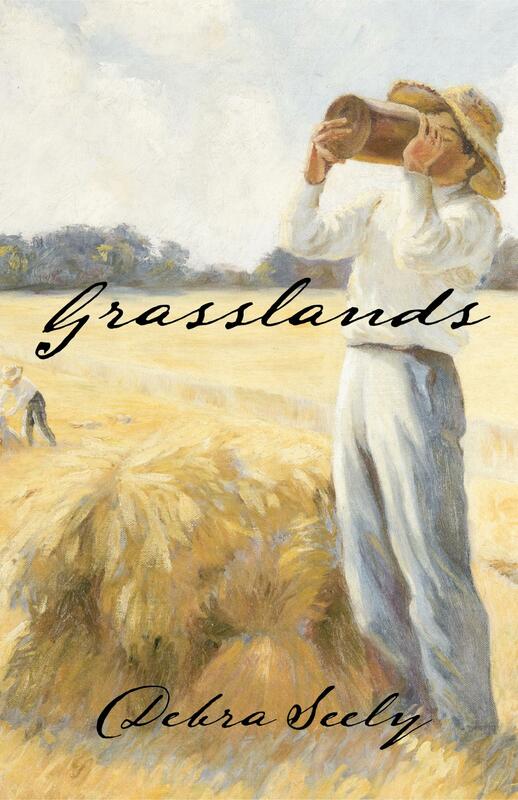 ïðGrasslands won the Society of Midland Authors award for juvenile fiction in 2003 and was a finalist for the 2003 Western Writers of America Golden Spur Award. It made Bank Street’s List of Best Children’s Books for 2003 and was on the William Allen White list for 2004-05. Grasslands won the Society of Midland Authors award for juvenile fiction in 2003. It was a finalist for the 2003 Western Writers of America Golden Spur Award. It made Bank Street’s List of Best Children’s Books for 2003 and was nominated for the William Allen White award 2004-05.